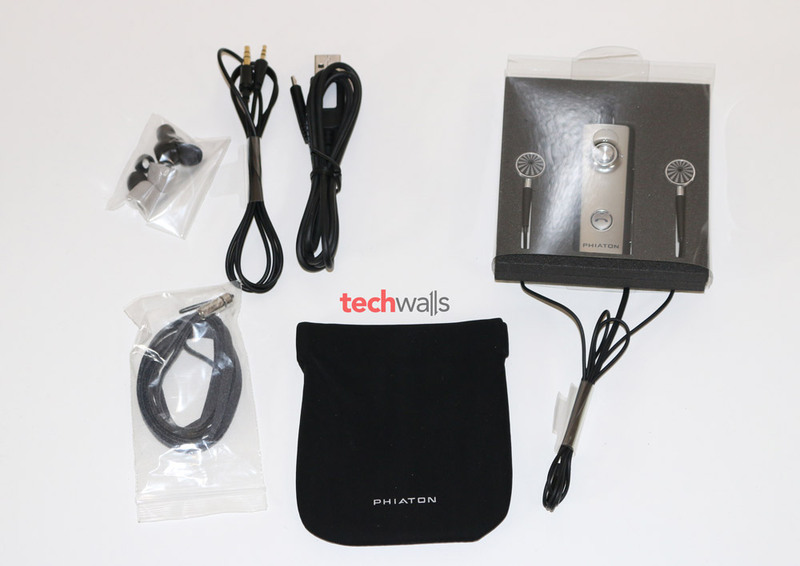 The Phiaton PS 210 BTNC was released more than 2 years ago and surprisingly it is still among the best-selling wireless noise-cancelling earphones in the States. How can the earphones hold up so well against other new competitions? Check out my insightful review right below. Inside the box, you can find the earphones, USB charging cable, ear tips with different sizes, comply foam tips, audio cable, neck strap and a carrying case. I’m not really impressed with design of the wireless earphones, they are still connected to a bulky in-line remote which can be easily clipped into your clothing or backpack, you can also use the neck strap for your convenience. 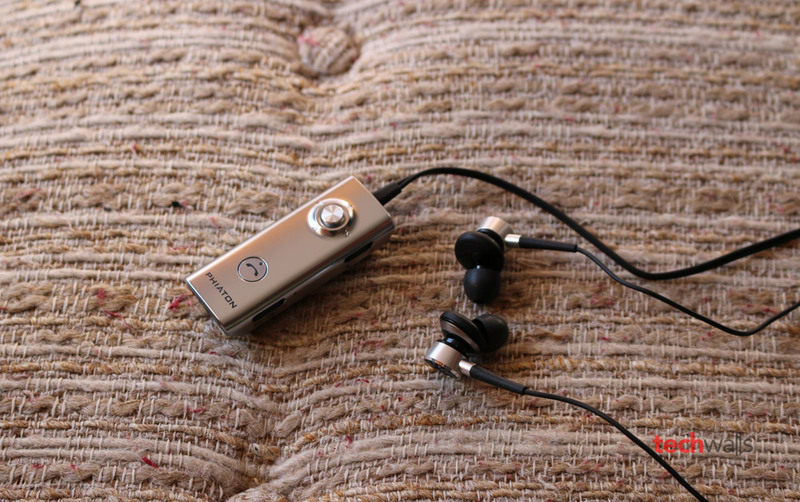 The in-line remote includes all controls and connections of the earphones, it has a built-in microphone, a jog switch to adjust volume or change tracks, an Answer/End button, a noise-cancelling button, power button and a 2.5mm jack. 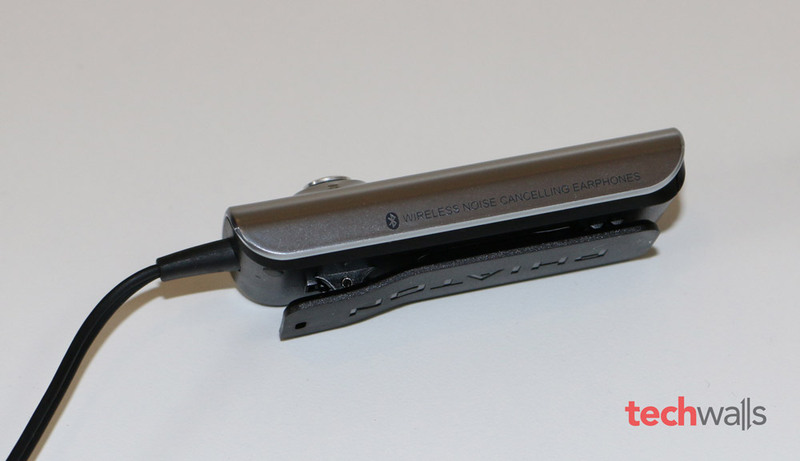 When the earphones run out of battery, we can connect our devices directly to this jack using the included audio cable. Unfortunately, this unit seems to have some serious issues. The jog switch is so unresponsive that it works just around 60% of the time or I have to wait a few seconds to see the changes. Besides, the Bluetooth range is quite disappointing, I started seeing interruptions when I was just 12 feet away from my smartphone. The earphones feature Bluetooth 3.0 which is not the latest Bluetooth technology at the moment, however, it performs pretty well. It uses apt-X communication technology to improve digital streaming efficiency, and its battery life is amazing. I can easily use the Phiaton PS 210 BTNC wirelessly for over 10 hours without charging. I often charge it via my computer’s USB port and it takes around 3 hours. 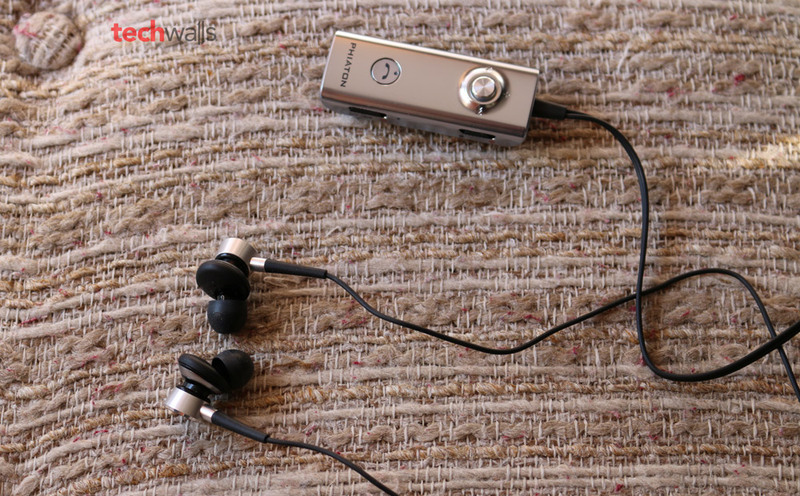 The Phiaton PS 210 BTNC has a half in-ear design which is the combination between an in-ear and an open-ear headphone. The design also can help seal off our ears and provide better noise isolation. This is not the most comfortable earphones but I don’t have any problem wearing this pair for hours. The Phiaton PS 210 BTNC is noise-cancelling headphones and it claimed to eliminate up to 95% of ambient background noise. However, I can see just a slight difference when I turn on/off the feature and I guess the earphones can block less than 30% of the outside noise. Fortunately, the ear tips provide awesome noise isolation and they help deliver a better music experience when I ride NYC subways. Therefore, I can turn off the noise-cancelling feature most of the time. In my test, the audio quality of the earphones is pretty good. They can deliver very strong and punchy bass responses, of course they can’t be as deep as full-sized headphones but it is up to par with most other earphones. I have no complaint with its mid-range sound as it is clear and there is no loss in details. The earphones manage to deliver a loud sound without any distortion, actually it happens occasionally but it is not so obvious to ruin our music experience. The only downside of the earphones is that they perform incompetently at high frequencies, it results in a muddy sound and you won’t be able to enjoy a bright sound at high notes. It can be used in passive mode when battery runs out. Soundstage and dynamic range are still disadvantages. Noise-cancelling performance is not good enough. The Phiaton PS 210 BTNC is on sale on Amazon for around $84. The earphones perform pretty well in most aspects although the active noise-cancelling feature is not really convincing. 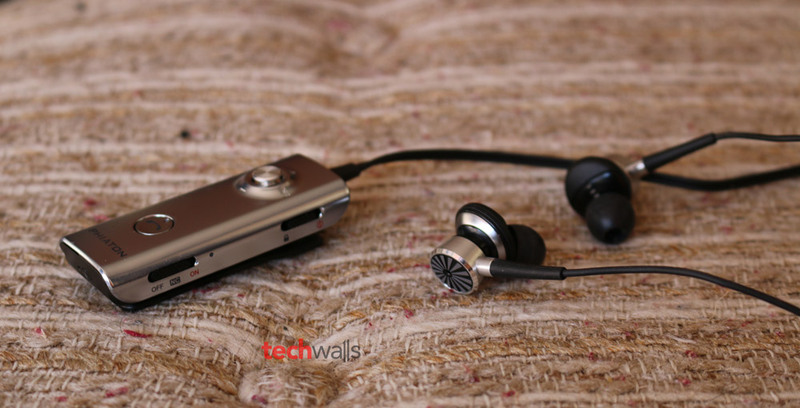 If you are not satisfied with your current earphones, this can be a good upgrade.